Harriet is now in charge of a case that will have the world’s media — already massing for the start of Wimbledon — out in force. But it is not the investigation that is about to explode Harriet’s life. Nor the string of murder suspects. 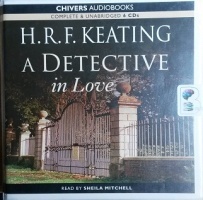 For it seems that the happily married Hard Detective has fallen passionately in love with a fellow officer. As her obsession with Anselm Brent – her junior officer – develops, can she keep her eye on this high-profile case while navigating the chopping waters of a new, and secret, liaison? What further challenges are facing this troubled ‘Detective in Love’? And can she still catch her prey?